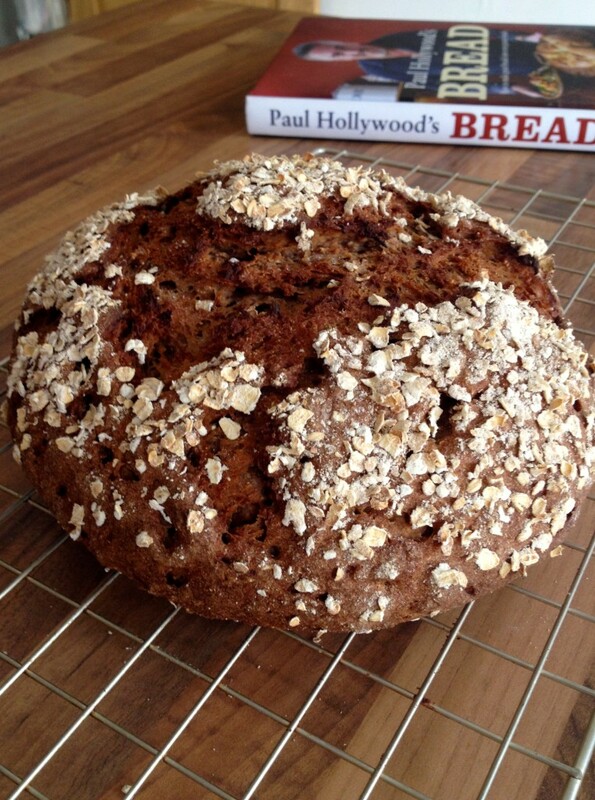 Baking your own bread allows you to get rid of all the nasties, tweak it to how you like it and gives you a great sense of achievement (and fills your house with that lovely freshly baked bread smell). My first loaf last week was made due to a desire to get rid of things that had been sitting in my cupboards and fridge for too long – out came Paul Hollywood‘s rye and ale loaf. It was perfect for scrambled eggs. Rye flour isn’t gluten free but it is naturally lower in gluten than wheat, often making it that little bit easier on our digestive systems. My second simple wholemeal loaf came about to use up the leftover yeast from the first loaf! 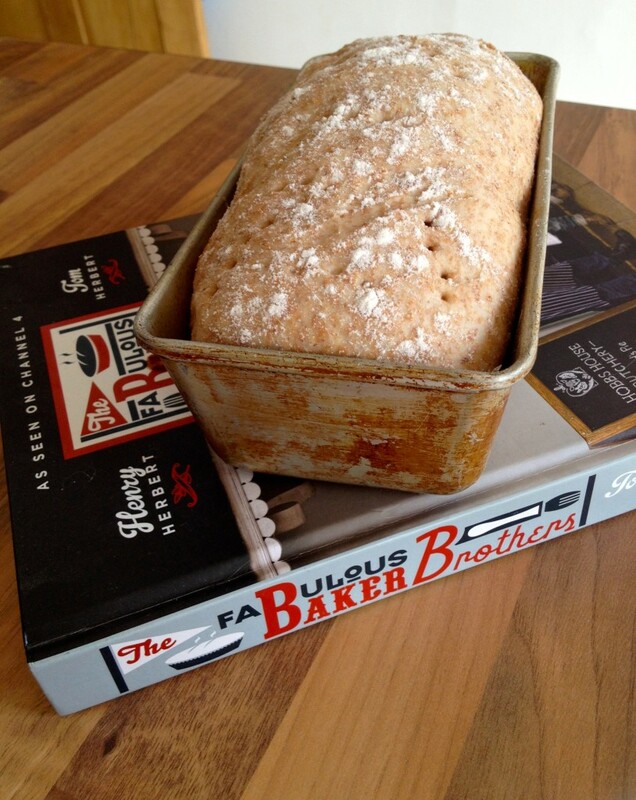 The Fabulous Baker Brothers have a fantastic bread book. 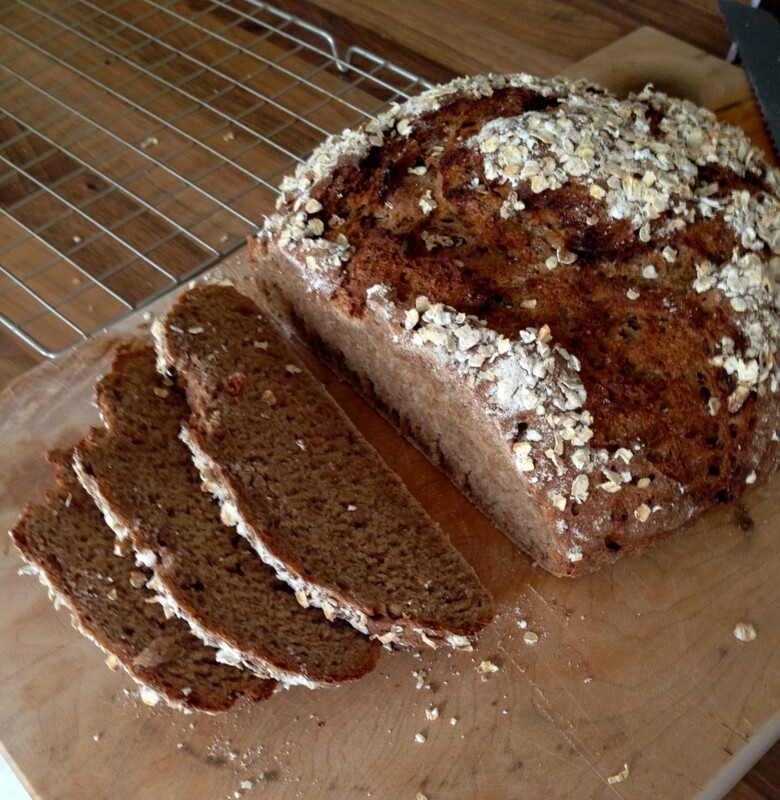 The rye and ale loaf is a little more complicated but the wholemeal loaf is nothing more than flour, salt, yeast, oil and water. 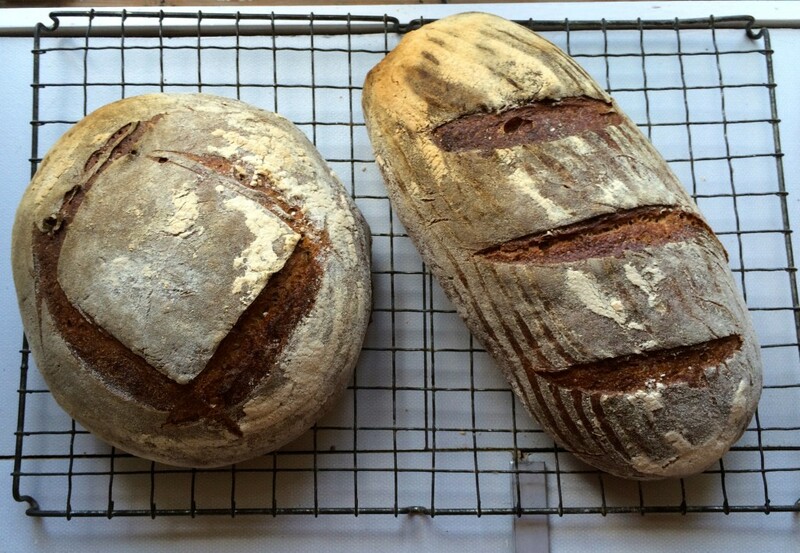 Have a look at my post about Bread Matters, a fantastic bread making course held just outside Edinburgh. I think a lot of people these days are too quick to cut basic foods out of their diet, with gluten being at the forefront of this. Obviously for those with coeliac disease it is a necessity, but intolerances to bread are often due to the added extras and baking processes in mass-produced bread. Posted in Good foods, Healthy eating and tagged bread, food, gluten, health, homemade, nutrition, rye, wholemeal.